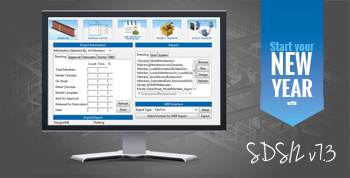 Design Data is excited to unveil the new and updated world of SDS/2! With the launch of the general release of SDS/2 v7.3 comes several key new features, a new look and feel, and new SDS/2 solutions. 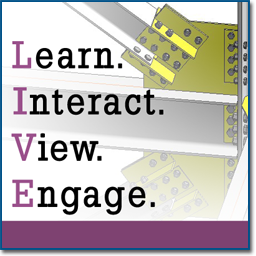 In addition to SDS/2 Detailing, SDS/2 Engineering, SDS/2 Modeling and SDS/2 Drafting, the release of v7.3 brings more solutions to the market: SDS/2 Erector, SDS/2 Fabricating, SDS/2 BIM, SDS/2 Approval and SDS/2 Viewer. SDS/2 Connect and SDS/2 Mobile are also available. So look around. Explore all the new features SDS/2 has to offer through our v7.3 YouTube playlist, and read more about each solution on our website. To view the full list of enhancements, read the release notes. To download the latest release, click here. If you have any questions, please contact your support representative. SDS/2 users, please follow the progress and user comments of SDS/2 v7.312 on our forum. 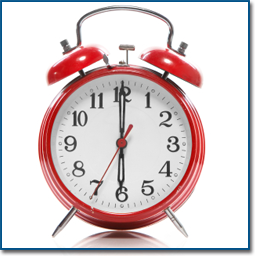 The slate of v7.3 seminars kicks off this month, and there is still time to register. Click here to sign up! 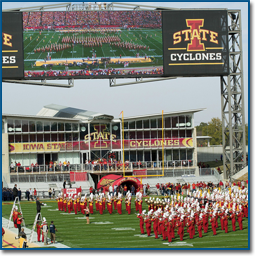 H&R Steel Detailing of Kearney, Missouri, played a pivotal role in bringing a new scoreboard to Iowa State's Jack Trice Stadium. The project involved installing the new scoreboard over an existing two-story building while minimizing interruptions to the athletic department. H&R Steel Detailing used SDS/2 to detail connection material on the existing structural analysis model and to create 3D PDFs for team members to use for coordination of the project. To learn more about the project and watch a time-lapse video of the scoreboard installation, click here.